Sometimes we just need to stop and clean out the refrigerator by eating left-overs we have put in there over several days. (When living alone this can happen a lot.) 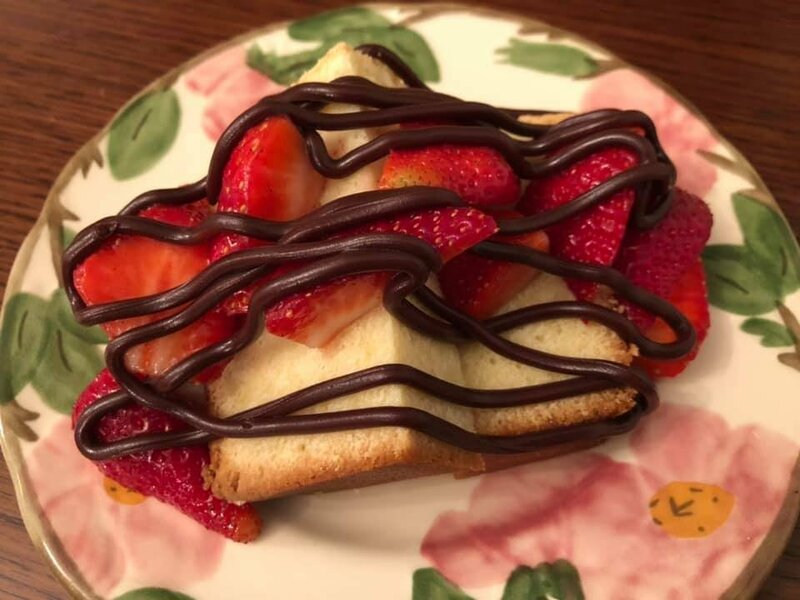 Tonight will be a left-over dinner but as you can tell from the picture…a really, really scrumptious left-over dinner! 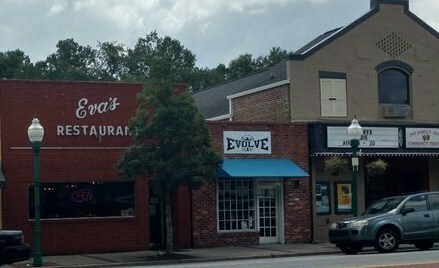 I have talked about Eva’s Restaurant before in the blog….and the personal history I have with it….from 1972 on….but I was with my neighbor/friend Jane yesterday and she could remember eating in the restaurant in the early 1950’s after she and her husband and family got transferred to Charleston from Newfoundland. 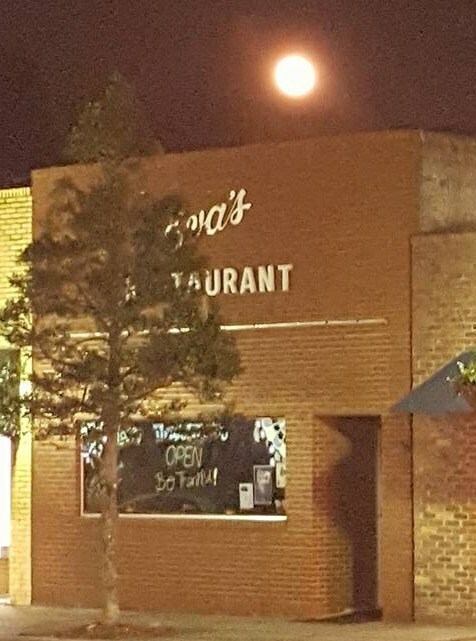 They opened up under new management at the beginning of the month (January)…a new year…a new chance for Eva’s Restaurant. 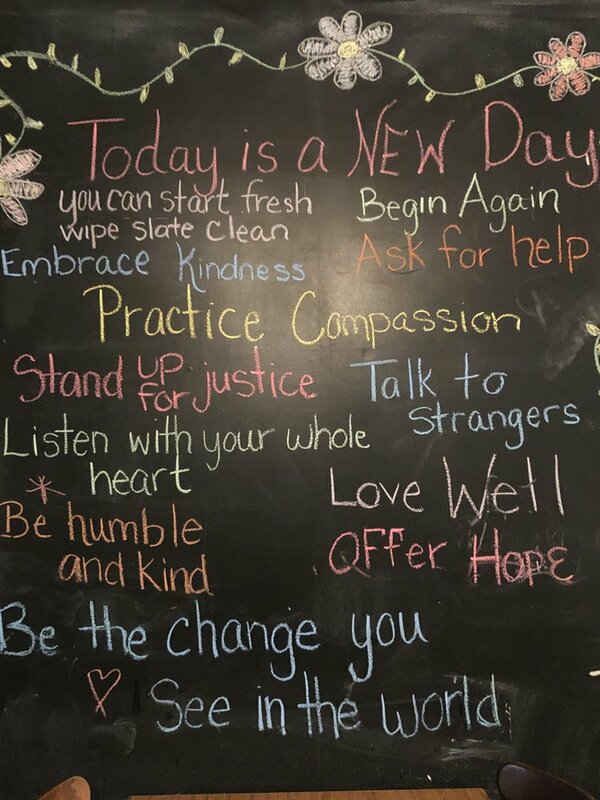 *Even the blackboard expressed a new way of looking at this dining experience.The new owners are Ray and Whitney Easterly who between them have decades of experience running eating places. I got to meet the new owners and several of the new waitresses….everyone was so kind and excited about fresh prospects for the old restaurant with so much history. 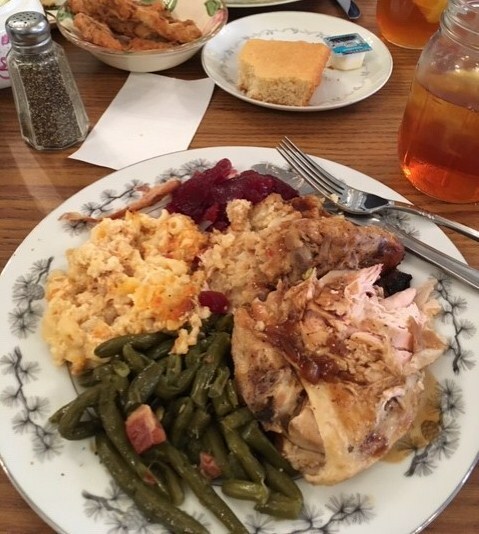 I told Whitney I wanted to give her the highest compliment I could think of…She and her husband had turned back ‘the hands of time.” Everything tasted just like it used to years ago when it was at its prime. 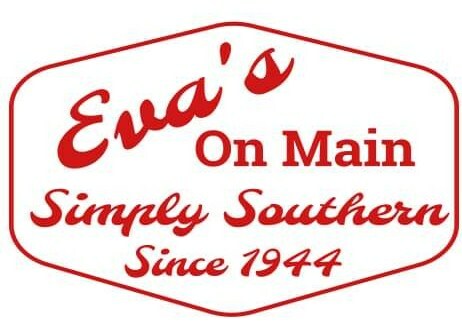 *All the waitresses had t-shirts on re-enforcing the fact that Eva’s Restaurant opened in 1944 with ‘ simply southern’ cooking and it is still cooking today. I snapped this photo off the back of one t-shirt a waitress had on. In life, as in eating, don’t we sometimes need to stop and just catch up with things going on that we haven’t had time to address or mention. It happens periodically for me while writing this blog…so here are some add-on thoughts to some recent posts. 2) I caught part of a talk show on PBS concerning a doctor who has targeted modern technology (like we were talking about Wednesday with the GPS and all other computerized technology) with the increase in dementia and Alzheimer’s disease. While we wait for some voice to give us directions or to provide immediate answers to questions and problems in daily life… even spelling it all out for us…our brains are no longer having to solve these problems using intricate, detailed neurons of the brain. As a result we are losing those intellectual skills quickly. (In other words we are turning over our intellectual prowess to man-made machines we create…so the robots are getting smarter while man’s intellect is going the other direction..a scary scenario for the future don’t you think? 3) “Only he who gives thanks for little things receives the big things.” Being able to get to a certain point in life where we can reflect on the social patterns that have evolved (which we can only decipher now)…is amazing and so much fun. The statement above is so true when you think of people and how they handle fortunes and misfortunes. If people are appreciative about small favors done for them during the tough times, the misfortune times…they are just as appreciative of the large fortunes that come during the good times. Learning how to be grateful must come first before fortune arrives in whatever form it does. So until tomorrow …Always appreciate and be grateful for what we have or are given…small or large…they have arrived in the form they have for a precise purpose…and that is God watching to see how we react to misfortunes and fortunes. I love left overs. Have been eating left over steak from my birthday dinner all week. Makes really good steak sandwiches. Happy Happy Birthday Beverly! There’s nothing like a good steak sandwich and nothing like a the privilege of having another birthday!!!!! !